Brian “Bizzy” Linder, a very eclectic and empowered individual in the dance industry (also a native of Chester, Pennsylvania), started dancing in his adolescence. During Bizzy’s transition to becoming a professional dancer, he had the opportunity to work with Freedom Theatre (located in Philadelphia, Pennsylvania) for various productions. As Bizzy began to network with many managers and directors in the business, he landed his first series of opportunities to choreograph many shows and projects throughout the Philadelphia region. In 2007, Bizzy decided that it was time to relocate to Atlanta, Georgia so that he could further his studies in dance. 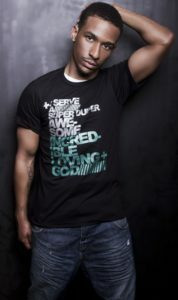 He also received a few teaching positions (Dance 411 Studios and Gotta Dance Atlanta), which helped him solidify his niche and market his brand as a dancer/choreographer. A year later (2008), Bizzy decided to relocate to Los Angeles, California where he could focus on breaking into the industry. He also received a few teaching opportunities at some of the best dance facilities in Hollywood (Debbie Reynolds Dance Studio and Debbie Allen Dance Academy). His craft has lead him to work with the likes of Jill Scott, Will.I.AM, Alicia Keys, Raheem Davaughn, Ludacris, Jazmine Sullivan, Flo-Rida, Keke Palmer, Leona Lewis, Lil Kim, Young Jeezy, Eve, Pharrell, Soulja Boy, Enrique Inglesias, and many more. Currently, Bizzy is CEO of his company Bizzy Visions Entertainment. One of the main focuses for BVE is to develop and collaborate with photographers, recording artists, models, fashion designers, and choreographers for various productions. His mission statement is not only to give back to his community with the opportunities he never saw or received in his adolescence, but to inspire and empower the youth to focus on achieving goals in the entertainment industry from a positive perspective. ©2019 The Dance Connection. All Rights Reserved.